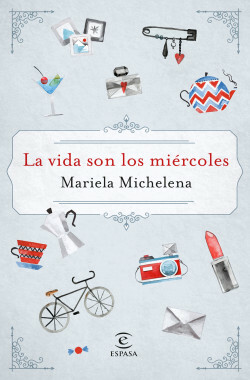 Susana, Eva and Marina, three women on the cusp of forty and childhood friends, will find themselves facing a series of challenges – in their romantic, work and family lives – that will put their friendship to the test. Susana is a successful executive, Eva is addicted to toxic love affairs that mess up her life, Marina isincrediblyhappy and fulfilled by her marriage... Through their personal diaries and emails, the reader will get to know them in their own words and deeds, as well as their white lies and major betrayals. Three apparently successful women have no choice but to make serious changes to their lives if they want to stay happy. She has published several books including the very successful Mujeres malqueridas, which was genuine best seller (over 30,000 copies sold).